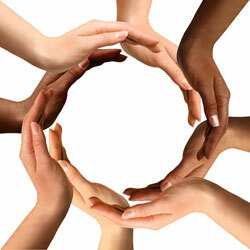 Reiki Circles are offered as supplemental hours of training in addition to the courses offered. All students engaged in their Reiki training course are encourage to attend the group practice, which is open to the public, to aide in the enhancement of their practice. All are welcome. We open with introductions followed by a group meditation which then leads into the sharing of hands-on practice of giving and receiving healing touch. Each person will be able to offer and receive Reiki. The space provided is a safe container to experience this healing modality and meet others in the community with similar interests. This gathering offers opportunity to study the practice of subtle energy medicine for students/practitioners at all levels. Prior experience with Reiki is not necessary to attend. We welcome you to come experience this gift of peaceful relaxation, stress reduction, rejuvenation and joyful play! *Certificates for CEU's are available when requested.